The LANforge-Attenuator is designed to add RF attenuation on 2.4Ghz and 5Ghz WiFi connections. It supports 3 attenuator modules, each capable of adding attenuation to one connection. The attenuation range is 0 to 95.5 dB (see notes on signal strength below). The attenuation may be controlled by knobs on the front of the system, and may also be adjusted programatically over a USB-serial port. Currently, the serial-port option is only available on Linux. Each attenuaton module may be configured independently of the others. The LANforge software suite can also control the attenuator through its GUI and/or CLI for integrated testing scenarios. This includes built-in scripting to automatically adjust attenuation over time. The LANforge-Attenuator contains 3 of these modules, for a total of 6 RP-SMA connectors on the front panel. Each pair of connectors provides one attenuation path. A micro-controller provides a control interface over a USB plug that appears as a USB-Serial adapter to the operating system. The attenuator does not require an external computer to function: It can be manually adjusted with two knobs, and has a small LCD screen to provide information to the user. The top knob adjusts the LCD menu items. The first menu is Information, the second is to adjust all attenuator modules in lock-step, and the rest of the menus are for adjusting individual attenuator modules. The bottom knob adjusts the attenuation when the selected menu is All or individual attenuator modules. Pressing the knob down activates a button that toggles between each click adjusting by 5dBm or by 0.5dBm. Enabling the x5 mode enables quick adjustments over larger ranges, and the 0.5 mode allows fine tuning. The system may be powered off of a 500ma USB plug, but many computers only provide 100ma USB plugs, so it is suggested that the external DC power-brick (9v 1-Amp) be used at all times. Display information and current settings. Display EEPROM information and current settings. Display attenuator configuration for specified module. Set attenuator configuration for specified module. The attenuation is in tenth's of a dB, but the modules support 0.5dB steps, so you could use '55' to set 5.5dBm, but setting it to '51' would round down to 5.0dBm. Set attenuator eeprom configuration. This should normally not be done except by Candela engineers. acount [attenuator-count]: Set number of attenuator modules available in attenuator. test [0 | 1]: Enable (1) or Disable (0) test mode. Test mode is only useful when the attenuator connector cables have been connected to attenuator-4 and one of the other attenuator connectors on the adapter board. The test is to verify the cables and shield were manufactured properly. When testing, first connect attenuator 1 header to attenuator 4, press the bottom button to start the test. Each time you click it, a different header will be tested. So, when testing attenuator 3 header, expect 1 and 2 to fail, but 3 should pass. Attenuator 4 header is tested indirectly when testing any of the others. serrno [serial-number]: Set the serial number. The micro-controller in the LANforge Attenuator is configured to reset itself each time a new serial connection is made to the Attenuator. It only takes a second or two to boot, but this could cause interruption of testing if your application often opens and closes the serial connection. If you are controlling the attenuator over the serial connection, it is suggested that you program it in such a way that the serial connection remains up for the duration of the test. Please contact support if you have any questions on this. The LANforge Attenuator has been designed with RF Isolation and accuracy in mind, but in testing with the LANforge CT520 WiFire traffic generator systems, we still see a bit of signal leakage even when attenuation is set to 95.5. We suspect that the CT520 systems leak a bit of signal out of their NICs and communicate directly, bypassing the attenuator. The internal attenuator modules are tested by their vendor and should have excellent isolation. The SMA cables connecting the attenuator to the face plate are double-shielded KSR-100 with > 90 dB isolation. The LANforge attenuator comes with 6 cables to connect the attenuator to systems under test. These cables use LMR-195 cable which also has isolation of > 90 dB. If you use your own cables, be sure they are of high quality for optimal performance. Our testing indicates that even these double-shielded LMR-195 cables may be leaking more that we hoped, so we will continue to investigate different cable types. Our primary test setup is one 3-antenna AP connected to another 3-antenna Station system (3x3 MIMO Atheros/Qualcom radio). The AP and Station system are about 3 feet apart, and the attenuator system sits between them. The maximum attenuation gives a signal level of about -84 dB, and noise floor of about -92. This is right at the cut-off point for the AP and Station to communicate and they may loose association from time to time. Here is a graph of signal level v/s attenuation settings for this configuration. In this case, the signal went to about -86 and then lost connection (and so reported signal as 0). The graph below shows the attenuation v/s rx-rate. The connection was lost at max attenuation and reported a zero signal. That makes the right-hand side of the graph a bit weird. The LANforge-Attenuator uses an Arduino-Mega as the controller. The firmware is stored on flash in the controller and may be updated using the 'avrdude' program on a Linux machine. The firmware can be downloaded from the Downloads page. It will be named something like: attenuator-1.0.hex. To upgrade, do the following steps. Do the console commands as the root user. Un-plug the USB cable, then the power cable, and plug power and USB back in again. Oct 19 11:25:39 localhost mtp-probe: checking bus 2, device 24: "/sys/devices/pci0000:00/0000:00:1d.0/usb2/2-2"
You may now restart LANforge, or use some other means of accessing the serial port to control the Attenuator. When using the LANforge-Attenuator on Windows, a driver must be installed before the attenuator can be accessed over the USB-Serial port. There is no need to install any drivers on Linux. 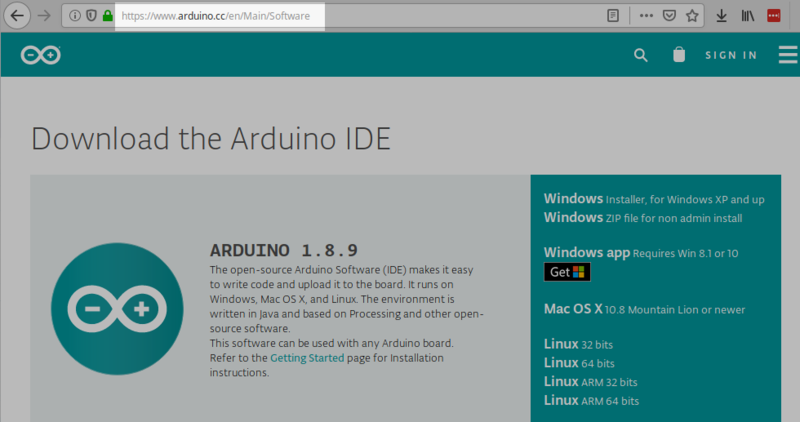 The Latest drivers for arduino boards exist in the Arduino IDE package available at the Arduino Software page. We suggest downloading the ZIP file. Expand it into your Desktop folder. Then go to the Control Panel and use the Device Manager to update the driver. The LANforge Attenuator control logic is based on the Arduino Mega micro controller. Candela Technologies releases the Arduino source code used to program the Arduino Mega as well as the Eagle PCB layout and routing files. The source code is released under the GPL (GNU Public License), and the Eagle hardware files are released under the Creative Commons Attribution-ShareAlike license. You may download the code and Eagle files on the Downloads page after creating an account on our web site.